Harrison Howes, 18, was driving in a black Ford Explorer with red flashing lights mounted under the mirrors and was wearing a shirt with a fire rescue emblem on it when he stopped an ATV rider, Highland County deputies said. A Highlands County teen found himself in hot water after deputies said he impersonated an emergency official and made a traffic stop. 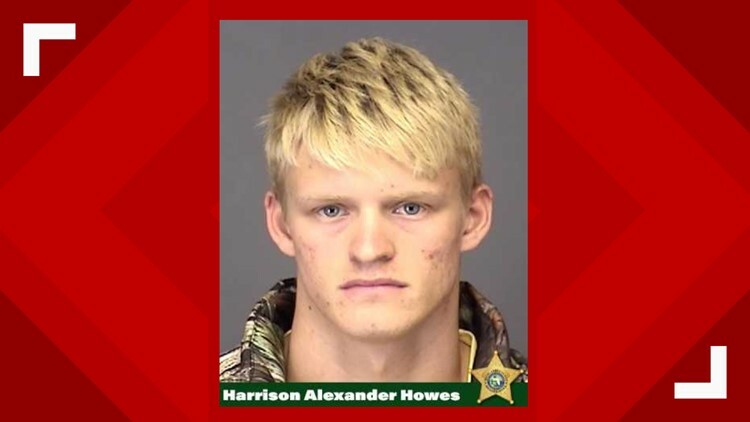 Harrison Howes, 18, was driving a black Ford Explorer with red flashing lights mounted under the mirrors and was wearing a shirt with a fire rescue emblem on it when he stopped an ATV rider, Highland County deputies said. Deputies said Howes pulled the victim over and asked him law enforcement type questions like if he had weapons in his backpack and what his address was. Investigators said Howes didn’t claim to be a law enforcement officer, but that he was a fire rescue official and had the authority to call authorities and have the victim arrested. Deputies said not only does Howes not have any affiliation to law enforcement, but he is also not a firefighter. Just a few days earlier Howe had filed to be a volunteer firefighter, but his application was not approved, investigators said. Deputies said Howe may have pulled a stunt like this before and asked that if anyone had a similar interaction with him to contact Detective Roger St. Laurent at 863-402-7250 or email detectives@highlandssheriff.org. Howe faces two charges of impersonating an officer.